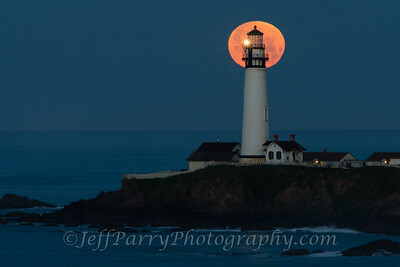 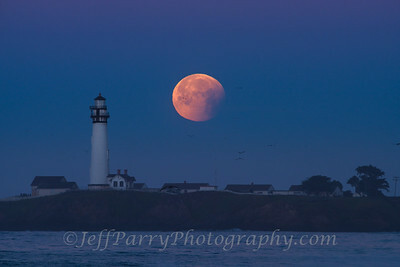 The Super Blue Blood moon lunar eclipse of January 31st sets over Pigeon Point Lighthouse. 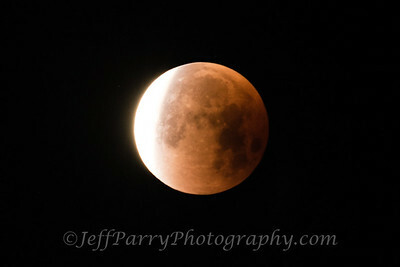 Super Blue Blood Moon Eclipse of 1-31-2018. 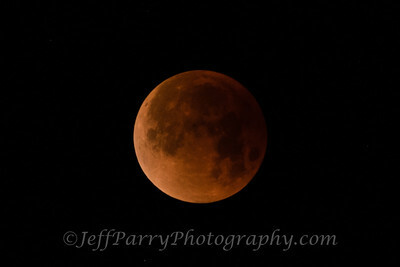 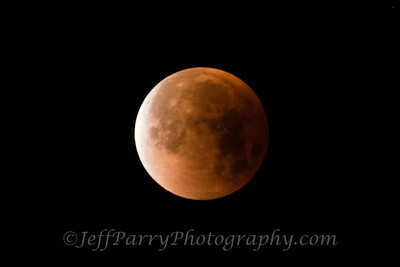 Called a blood moon because only the red spectrom rays can reach the moon from bending around the Earth. 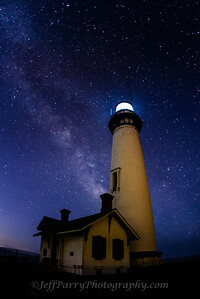 Flashing every ten seconds, the 115 foot tall, half a million brick conical seacoast tower shines over the dark skies off central California since 1872. 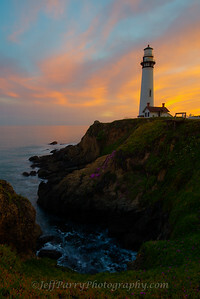 As the day turns to night, the 115 foot brick masonry conical tower stands tall above the central California coast to guide ships safely to shore. 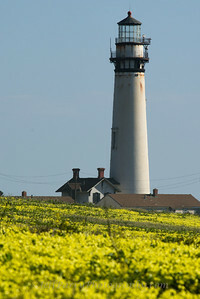 Built in 1872 the lighthouse is now a State Park and an International hostel for overnight accomodations. 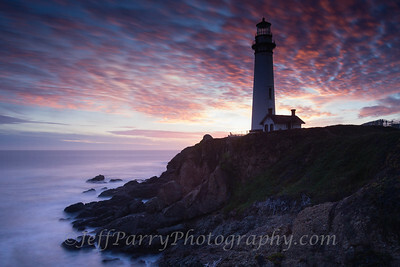 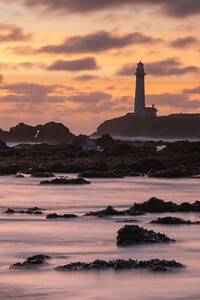 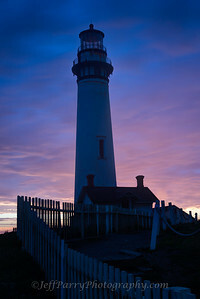 Pigeon Point Lighthouse was built in 1872 and is a 115 feet tall, brick masonry conical tower that shines one white flash every 10 seconds. 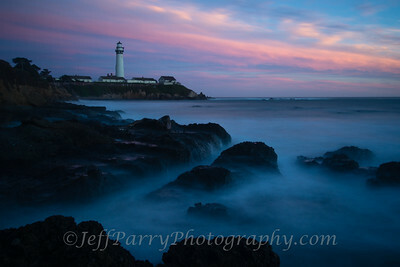 As the sun sets, the light guided maraners past its rocky shore for the night. 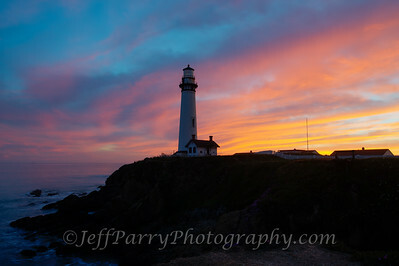 Named after the clipper ship Carrier Pigeon that wrecked here in 1853 on June 6th. 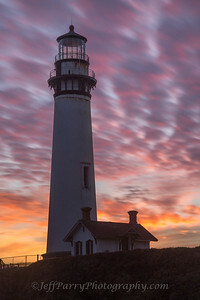 Hostelling International USA runs the overnight accomodations since 1981. 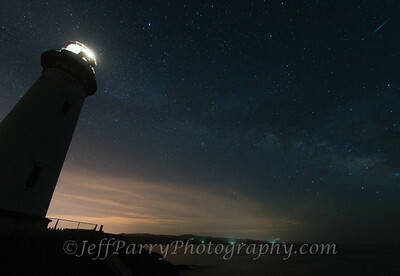 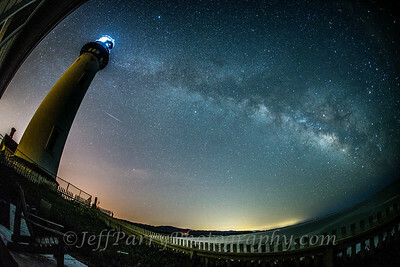 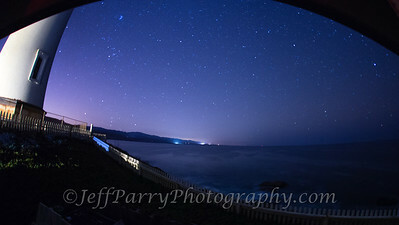 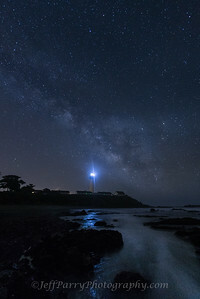 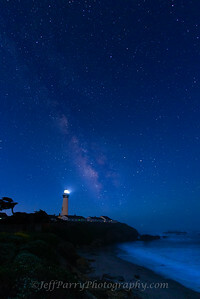 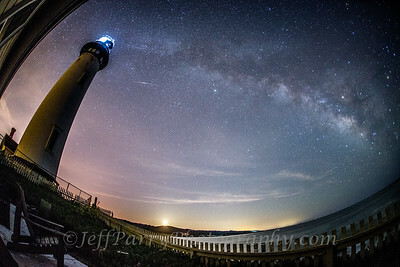 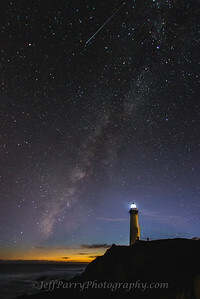 The center of the Milkey Way Galaxy rises over Pigeon Point Lighthouse with Saturn and Mars in Scorpius constellation. 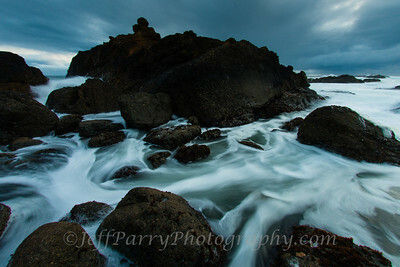 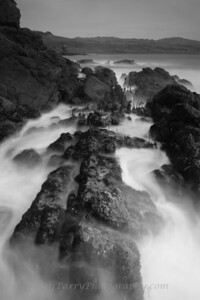 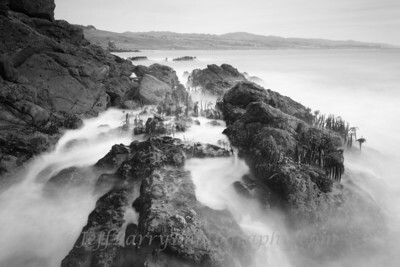 The tides flow through the rocky point on the central California coast. 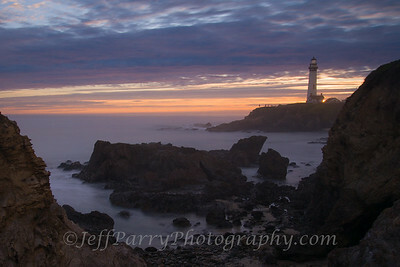 Another December day sets as clounds gather before the coming rain. 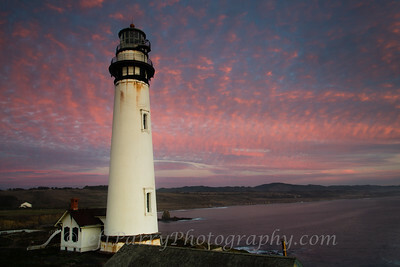 Smokey fires drift and obscure the Sun's last rays into angelic soft hues of coroline alga over the California sentinal. 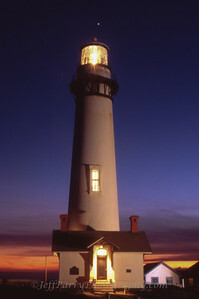 March 2001 Fuji Velvia. 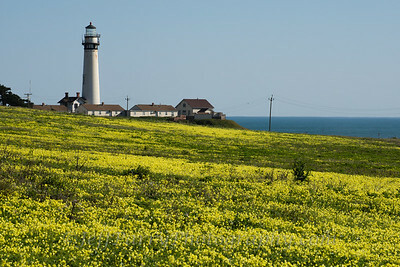 Movie shoot. 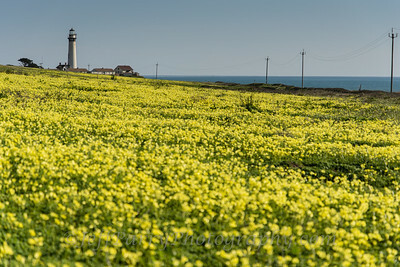 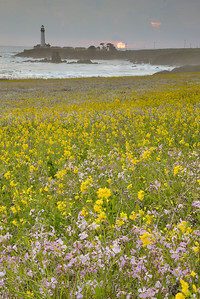 (Oxalis pes-caprae) blooms in the ag fields at Pigeon Point, California. 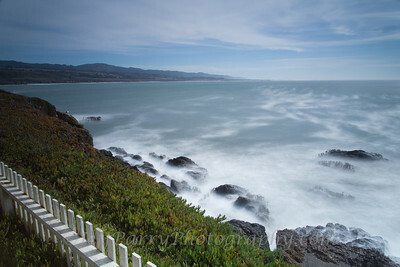 Part of a time-lapse. 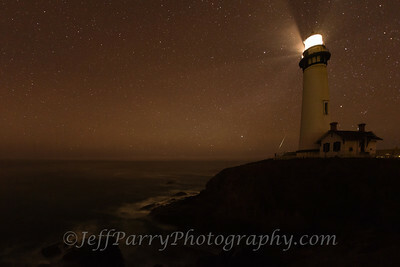 Shot at 6400 ISO to get 2 second esposures of the origianl First Order Fresnel Lens before it was removed. 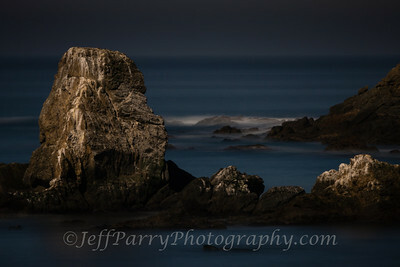 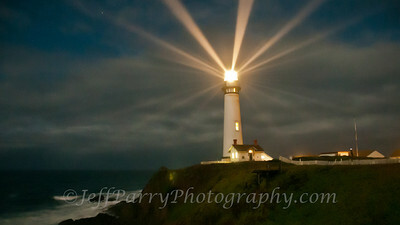 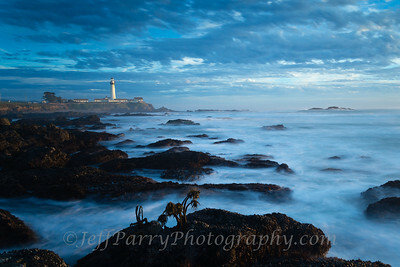 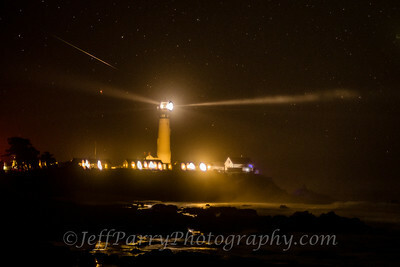 A 30 second long exposure of Prisoner's Rock south of Pigeon Point Lighthouse under the rising Full Moon. 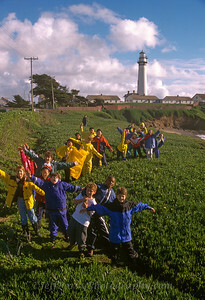 School children from the Pigeon Point Environmental Education Program head down to the tide pools. 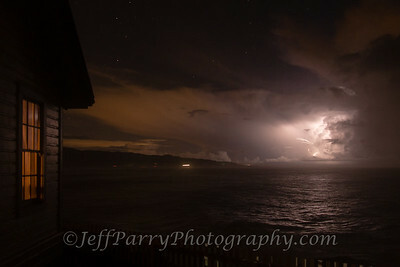 Frame grab from time-lapse out my bathroom window.